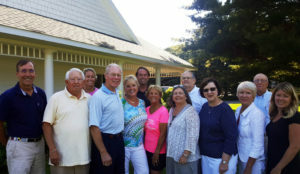 The Epworth Church Association gives back to the community in a number of ways. Our Activities Program involves youth in a service learning project every summer. In 2015 the Activities Program worked with HELP Ministries to establish a community service project building bunk beds for the local homeless shelter. The children are able to construct bunk beds each season and enjoy delivering them to local families in need. We continue to partner with HELP Ministries to support the Ludington community. Every year the Epworth Outreach Committee schedules the Epworth CAN Drive. 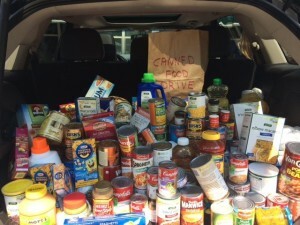 This non-perishable food drive benefits the St. Simon’s Catholic Church food pantry. The Epworth Church Board works with the Outreach Committee at the end of every season to recognize the hard work of multiple Ludington non-profit organizations. Every year the Board financially supports local organizations to help in continuing their work throughout the year.